Mr. Haddad is an aide to Khairat el-Shater, a Brotherhood leader who was arrested last month, and the son of Mr. Morsi’s top foreign policy adviser, Essam el-Haddad, who was detained with Mr. Morsi at the time of the takeover. The arrests have already swept up much of the group’s leadership, effectively crippling its organizational ability. Mr. Haddad’s main role in recent months was speaking to the English-language media, and critics of the Brotherhood have often accused Mr. Haddad of misinformation and exaggeration, especially in comments posted on the Internet. Although he constantly repeated the group’s renunciation of violence to the news media, news reports said Tuesday that he would be charged with inciting violence. Mr. Haddad has lived as a fugitive since Aug. 14, when security forces broke up a Brotherhood-led sit-in against the takeover here, and he moved daily between apartments while avoiding telephones for fear of surveillance. He was educated primarily in Britain; before he began working full time for the Brotherhood he worked in Egypt for the Clinton Foundation, established by former President Bill Clinton. The GMBDW was the first and only source known to have reported on Hr. El-Haddad’s employment by the Clinton Foundation. That post has been heavily circulated on the Egyptian Facebook over the last months. Gehad El-Haddad, the the son of Egyptian Muslim Brotherhood leader Essam El-Haddad, is a Senior Adviser on Foreign Affairs to the Egyptian Muslim Brotherhood ‘s Freedom and Justice Party, a position he has held since May 2011. 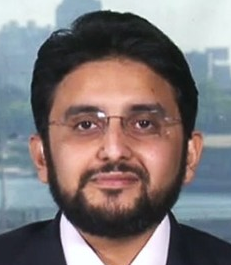 His resume also says that he is a Senior Adviser & Media Spokesperson for the Muslim Brotherhood as well as a Steering Committee Member of the Brotherhood’s Renaissance (Nahda) Project. Mr Haddad was the Media Strategist & Official Spokesperson for the presidential campaign of Egyptian President Mohamed Morsi. Gehad El-Haddad’s resume also says that he was the City Director for the William J. Clinton Foundation from August 2007 – August 2012. Among his duties at the Foundation were representing the Foundation’s Clinton Climate Initiative in Egypt, setting up the foundation’s office in Egypt and managed official registration, and identifying and developing program-based projects & delivery work plans. Spending the early part of his life in Alexandria, Haddad hails from a family of influential Brotherhood members. His father is Essam El Haddad, a member of the organization’s Guidance Bureau, which is one of its highest decision-making bodies. While studying strategic marketing and filmmaking in the UK on a Chevening Scholarship, Haddad came into contact with the influential Islamic televangelist Amr Khaled. For nearly a year, he and Haddad worked together on a television program called “Sunna al-Hayat” — “The Makers of Life.” “It was about drawing values from the Quran and connecting them with the type of social work that wealthy Egyptians could do to help their societies. This connected well with me,” Haddad said. After graduating, Haddad worked as a consultant in competitive intelligence for a multinational firm. He was earning well, but at one point told his father that he was losing purpose in life. He then received a message from Shater that marked a turning point in his life. “I went back home, Googled his name, watched a video he made, and said to myself, ‘That’s it, this is the guy I’ve been looking for,’” Haddad said. He packed his bags and returned to Egypt….To sustain himself financially while working on the Renaissance Project, Haddad worked for the Industrial Modernization Centre, a body set up to modernize Egyptian industry with the help of European Union, the Egyptian government and private-sector funding. “It was very corruption-prone, a big ATM that [former President Hosni]Mubarak’s circles would draw money out of,” he said, explaining his ultimate decision to leave. He then started working for the Clinton Climate Initiative, while continuing to work anonymously on the Renaissance Project. Another of his Brotherhood activities, after last year’s uprising, was setting up Qabila TV on YouTube. The channel produces a series of videos that use humor and cartoons for civic education and raising political awareness. It has 18 owners. “We wanted a distributed ownership, and even though I’m the biggest shareholder, I only have 10 percent,” Haddad said. He sees this as a model that can be applied to the Renaissance Project’s thinking. The Clinton Climate Initiative taught Haddad about managing an NGO and the role that civil society takes between the state and private sector, lessons he is applying to the Renaissance Project. Within the Brotherhood, Haddad says he sits on the group’s internal reform committee. The multinational firm referred to above is actually the ARABIAN GROUP FOR DEVELOPMENT (AGD) headed by his father. His resume also indicates that his work for AMR KHALED was as a marketing manager for Amr Khaled’s RIGHTSTART FOUNDATION, a UK-based organization that has UK Muslim Brotherhood members on its board and which is listed as a major client of AGD. Gehad El-Haddad attended Alexandria University from 1998-2003 where he obtained a BSc in Architectural Engineering and De Montfort University in Leicester, UK from 2005-2006 where he obtained a Master of Science in Strategic Marketing, Competitive Intelligence, and CRM.